Today’s theme is of the new community formed out of the resurrection and the indwelling of the Holy Spirit in the life of that community that is grounded in love. Today’s Gospel and Epistle (Letter of John) emphasize the relationship between Christian love and obedience. It all begins with the love of God for us – love that comes to us through the Son. By entering our lives, Jesus brings the love of the Father to us. We know that we are children of God by loving and obeying God’s commandments. These commandments are not burdens to be born, but the way of life and fulfillment (1 John 5:3). Trust in Jesus as the Messiah also brings privileges of adoption – of being made a child of God. As members of God’s family, disciples learn how to keep the commandments. Loving like Jesus makes the disciples (and us) more than learners or followers; it qualifies them (and us) to be Jesus’ friends, his beloved companions. The obedience that he asks us to render is not the obedience of coercion, like a servant’s, but the obedience of confidence and loyalty. How would you describe the relationship between Jesus and the Father as expressed in today’s Gospel? How is this relationship a model for us to follow in our own lives as well? 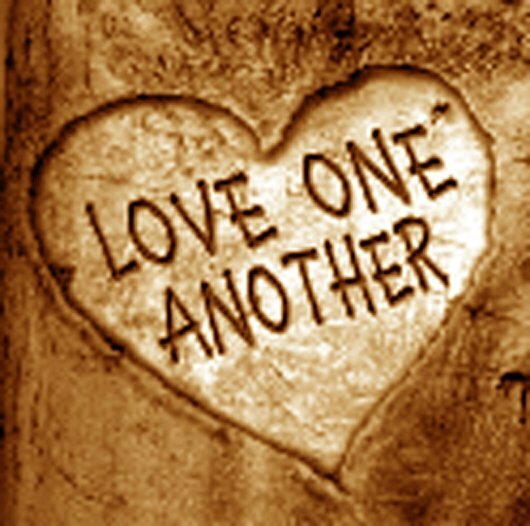 Jesus gives us a new commandment, that we love one another as he loved us (John 15:12). How have you experienced this love yourself? How can we, both as individuals and as the Church, demonstrate God’s love in the world? What is the nature of friendship with Jesus? What specific qualities of friendship does Jesus emphasize? Describe a friendship that has been especially meaningful for you. How do the unique qualities of this relationship help you to understand more fully the love of God? When have you experienced Jesus as friend? What is the relationship of fruit-bearing and prayer as suggested by John 15:16? How does this compare with your experience in prayer? This entry was posted in Easter and tagged Acts of the Apostles, First Epistle of John, friendship, Jesus, John, Mother's Day, Prayer. Bookmark the permalink.